Op 20 januari 2017 werd president Trump in Washington ingehuldigd, duizenden mensen gingen de straat op om de feestelijkheden te verstoren. Een Black Block van 600 mensen braken door politie kordons heen en verstoorden de feestelijkheden met directe acties. Nu een jaar later zijn de rechtszaken begonnen tegen de 200 arrestanten van die dag, in totaal word er 600 jaar gevangenisstraf geëist. Omdat wij altijd solidair zijn met mensen in strijd organiseren wij dit bescheiden benefiet om zo een kleine bijdrage te leveren aan de financiële kosten die dit monster proces met zich mee brengt. Komt allen!! Doneer gul!!! 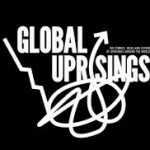 De mensen van Global Uprisings http://www.globaluprisings.org/ hebben speciaal voor de gelegenheid op 20 januari 2018 hun nieuwe documentaire ANTIFA gelanceerd en deze vertonen we dan ook. Since the election of Donald Trump, acts of racist violence have proliferated across the United States. Racists and misogynists feel emboldened to express and act on their views. White nationalist groups and resurgent traditional white supremacist groups such as the Ku Klux Klan have used Trumps victory to gain new recruits. All that stands in their way are the groups of anarchists and anti-state communists who have taken it upon themselves to prevent fascism from becoming a powerful political force in the United States. This film tells the story of what “Antifa” is and why people are using these tactics to confront racism and fascism in the US today. Thursday 16 March 2017, No More President’s: Trump Arrestees Benefit. Volkseten Vegazulu at 7pm. Screening from 8:00pm till 10pm. Sunday May 4th 2014, Films From the Frontlines: Bosnia and Herzegovina in Spring and Pieces of Madrid. Door opens at 8pm, event begins at 9pm. Screening and discussion from the media collective Global Uprisings an independent news site and video series dedicated to showing responses to the economic crisis and to authoritarianism from around the world. A voku on May 1st will serve as a benefit for political prisoners in Spain and Bosnia and Herzegovina. Thursday May 1st 2014, Benefit for political prisoners in Spain and Bosnia and Herzegovina, Volkseten Vegazulu, 7pm. On Sunday May 4th, we’ll have an info night/screening with Global Uprisings. Before that, we’ll have a benefit voku to support political prisoners in Spain and Bosnia & Herzegovina. March 22nd 2014, millions of people took the streets of Madrid. By the end of the protests, there were 101 injuries and 29 people arrested. Sunday November 17th 2013, 6pm – Solidarity event for activists from Maribor, acoustic music by Alessandro Seul, food and more. After the Global Uprisings conference, meet up and socialize. Last November in Slovenia the wave of people’s uprisings started. Against corruption, austerity, expropriation of people, lack of perspective and precarity. Uprisings started in Maribor with huge participation of people. On third uprising that has led to dismissal of mayor Kangler every fifth inhabitant of the town participated. State reaction was brutal. Non discriminate use of police force, including huge amount of teargas and cavalry and 120 arrests. Among arrested 28 people were detained preventively for a month. Later court processes started and first were sentenced to seven month in prison this September. Others are still waiting for processes. In Maribor group of militant researchers is trying to organize resistance against such criminalization of uprisings by building solidarity network. 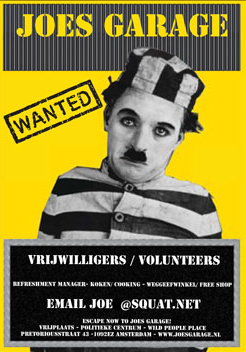 Wednesday November 13th, Kritische Studenten Avond, 8pm. Speakers: Frank Lopez (subMedia.tv) & Naus Steves on students strikes in Montreal and fracking in New Brunswick (Canada). 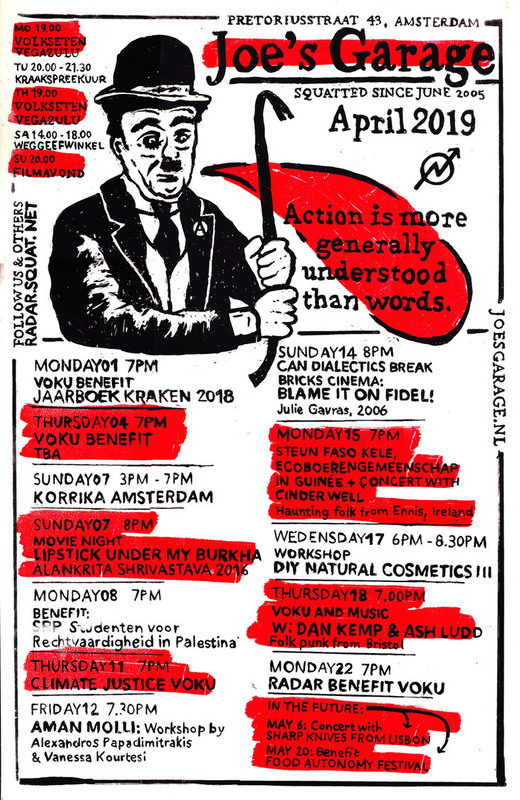 Monday July 8th 2013, Uprisings in Turkey, Info night & Benefit, Volkseten Vegazulu, 7pm.